Tale as old as 1991, emerges from the dusty corners of our nostalgic vaults to entertain with nothing short of warm gooey glee. Disney’s live-action take on the animated classic Beauty and the Beast (1991) is a magical dessert for the indulgent escapists among us. In an uncertain time battered by turbulent winds of change, enter Disney stage right offering 2 hours and 9 minutes of lyrical vibrant childhood romantic fantasy? We’ll take it. The tale is truly as old as time. Belle (meaning beauty), played by Emma Watson, is a peculiar beauty in her French provincial town, the outsider looking for something more. Finding herself imprisoned in the castle of the seemingly wicked Beast, first impressions and appearances soon give way to deeper realizations of understanding, trust and even love. There’s a ticking rose clock, a dashing evil villain rousing up populist sentiments (life catching up to art anyone?) and an array of adorably supportive characters with tunes galore that make any Disney movie worthwhile. 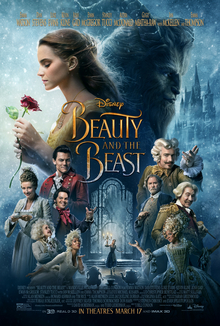 I like loyalty, and one of the reasons Beauty and the Beast succeeds is that it doesn’t break its stem trying to be too different from the original. When you got grandma’s one-of-a-kind recipe, why deviate? Disney knows this and we’ve seen this be successful with Cinderella (2015) and for the most part with The Jungle Book (2016). Some critics see it as nothing but a money making machine to cash in on our childhoods. Yes, I agree – but be that as it may, is that any different from cashing in on our most treasured books, games and anime? I think not. Save us from your moral high ground route, we’d rather slide down memory lane through the provincial route of Belle. Bill Condon (Director), most famously known for his work on Dreamgirls (2006) and Chicago (2002), doesn’t waste any time in carrying us away into the French fairytale world of the Beast’s Castle with a truly striking opening scene. From the onset we see the deviation from the original, but straying only to provide us a richer glimpse into a world we once peeped into in childhood. In flashes and swirls Stanley Tucci (Maestro Cadenza), Audra McDonald (Madame Garderobe) and of course Downton Abbey’s Dan Stevens (Beast) waltz away at the center of twirling ball gowns, incandescent lights, and bursting opulence. In two minutes the Coke and somber black seats of the theatre are forgotten and we are in aristocratic fairytale French terrain. But it’s not the A-list stars that dazzle at first, but the magnificence of the mise en scène itself. The detail of the burnished grand castle, the birds-eye take of the dance with tracking shots from ceiling to floor accompanied by the sweet melody of McDonald’s vocals is extravagance nourishing vanity, most likely the Prince’s. Seeing instead of hearing (as we did in the original) sets us for the ride. And then the story starts, the initial tale told, zipping us to Belle in her provincial Heidi/Sound of Music like hillside. A musical indeed, and at times almost rushed from one ensemble to the next, we are forgiving because of its homely familiarity. The memories stir, and the heart expands with each note and rhythm as the words and sounds recall distant feelings we thought we’d forgotten. It wasn’t difficult to see the smiles in the theatre last throughout much of the screening. Disney tends to do that for most. It’s the result of a strong brand image and an even strong impression pressed into the mind’s eye, sealed in childhood. Adults seemed to shrink into children, and children seemed to own their childhood. As with much of the content, character depictions were tasteful without too much of a surprise. Though Watson promised to deliver a strong female performance in the form of Belle, much of the work seemed to be mostly loyal to the original. At times more even tempered and resolutely determined than her animated counterpart, the Belle onscreen, while strong was not overpowering. She seemed to be navigating but not driving. A true breakaway was more evident in the more controversial homosexual exploration of Josh Gad’s (LeFou) character that has led to the movie’s ban in Russia (surprise) and Malaysia. Throwing in pinches of wit and being a passive voice of reason, LeFou’s controlled advances on the dashing Luke Evans (Gaston) were entertainingly bold, but ultimately timid. While we may remember the moments of such deviant displays of preference, one wouldn’t consider the exploration of the deviance a groundbreaking statement of any kind. Instead, more of a nod than a showcase. Stevens’ Beast on the other hand, as in the animated version, was thoroughly heartwarming. One thinks if we’d love the human version less relative to the Beast. 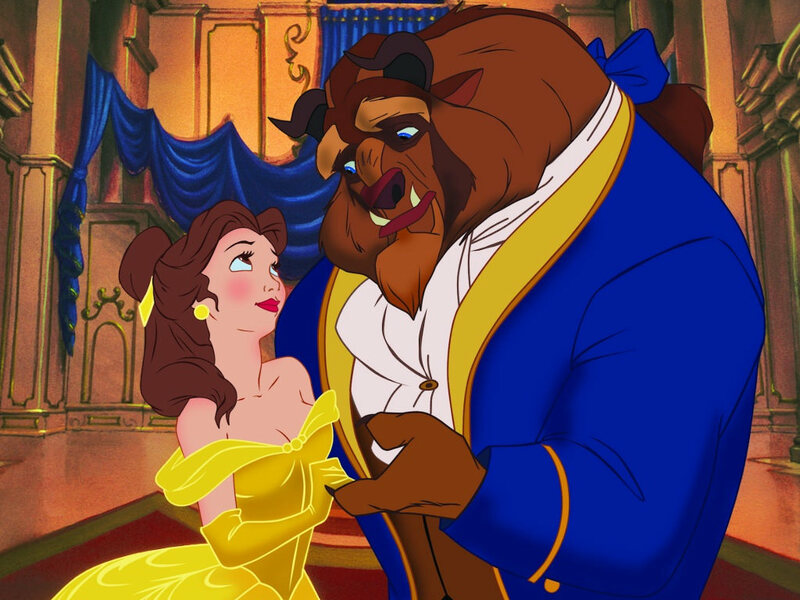 The other secret of Beauty and the Beast is the magic of the screen being able to bring to life the imagination of audiences, delicately blending in memories of the animation while folding in expectations of reality. Much of the sets seemed grand enough, and one could almost imagine when the actors might have been in front of curtains of green screen, but regardless the overall piece successfully delivered by taking the hand of the viewer and securing the trust in the visual. The CGI was rarely detectable, and for a movie like this we are forgiving given its animated baseline. Equally crafty, was the melding of A-list actors Ewan McGregor (Lumière), Ian McKellen (Cogsworth) and Emma Thompson (Mrs. Potts) with the inanimate. The casting was like a lid to a teapot. Their real-life appearances were barely missed, and revealing them in the end only seemed to be an added treat. This is the result of successful computer animation synchronizing with skilled voice overs and acting. And of course, the iconic scene of the ballroom dance was delivered with much perfection. 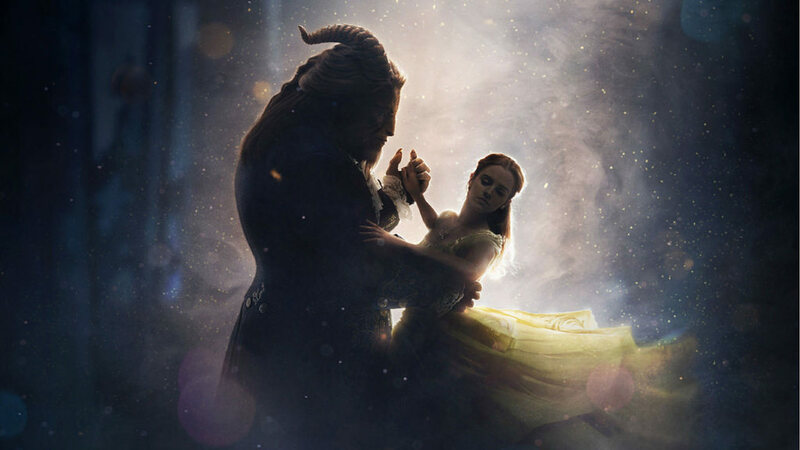 The honey glow filter and lighting used for the scene, with masterful tracking shots again from chandelier to marble floor with 360 coverage was as much as one could ask for with the famous Beauty and the Beast song swimming in the background. Emma’s dress, in my opinion, didn’t seem to match up to Belle’s in the cartoon, but who am I to judge, especially when rumor has it that Ms. Watson said “no” to a corset. But the detail spent on the golden overtones from the washed lighting to the golden curvatures of her fabric, abetted by the smooth dancing of beast and lady were enough to satisfy most audiences. Overall, its loyalty and dedication to replicative detail earns it a solid 7.9 out of 10. Adieu.